The residential and institutional architecture and interior design by an eminent London-based classical architect. 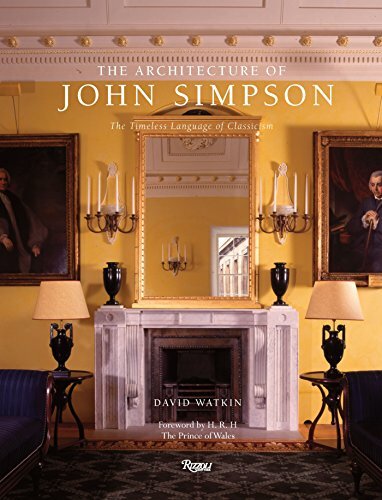 John Simpson is one of the world’s leading practitioners of new classicism, a contemporary architecture movement that continues the practice of classical and traditional architecture and embraces the virtues of durability, functionality, and beauty. Simpson’s design ethos revolves around the notion that architecture is a public art where each facade forms the character and shape of the public realm—the streets, the squares, and the major civic spaces that we use—and as such must use a language of building that is recognizable and draws on our collective cultural experience. His architecture is thus understandable in a moment and is functional; it is built to last, to be beautiful, and to ensure the comfort and ease of those who experience it, be it the Queen’s Gallery at Buckingham Palace in London or an apartment in a historic building in New York. The work shown covers a wide range, from small-scale residential and apartment design to the country house and the town house to large-scale institutional designs. Featured projects include a new academic quadrangle at Eton College; the new school of architecture at the University of Notre Dame; rooms at Kensington Palace; the Stanhope Hotel renovation in New York; town houses in Belgravia and Chelsea, London; and much more.